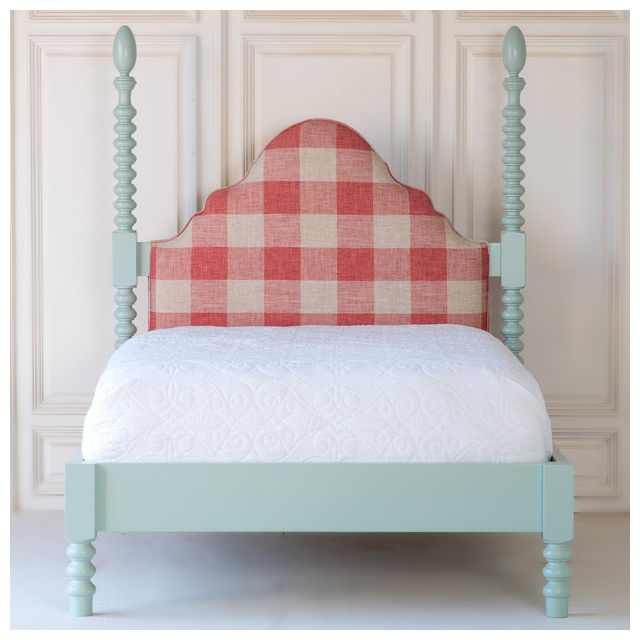 Simplicity and cottage charm come together in this classic, timeless bed. Be as refined or as bold as you want with custom upholstery fabric and your choice of finish accent. 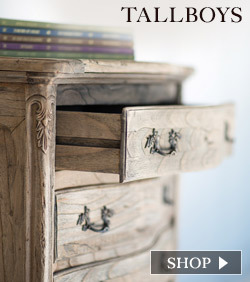 Complete your bedroom with beautifully crafted armoires, wardrobes, nightstands, benches and more. 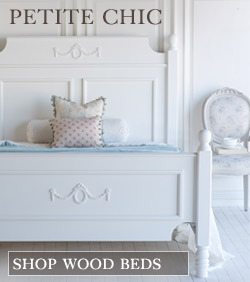 Beadboard paneling, ball finials and classic shapes add a fresh touch of classic coastal style to your bedroom and home. 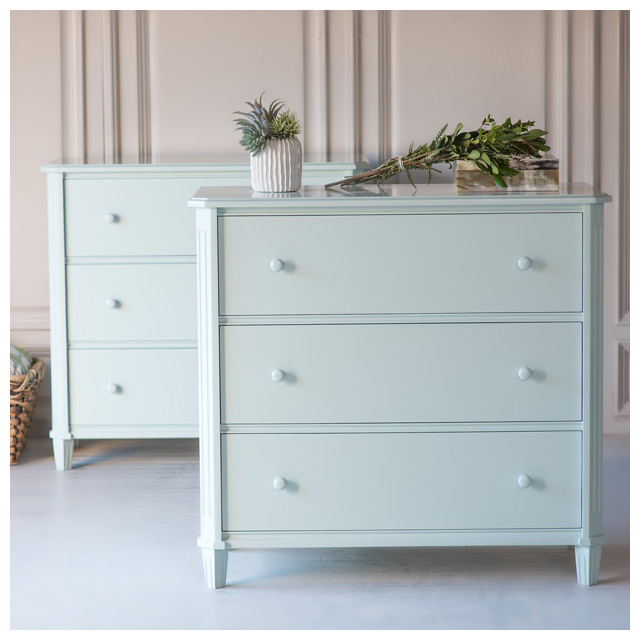 Our bedroom furniture and casegoods are available in any color to suit your individual style. Unique brass hardware adds extra flair. 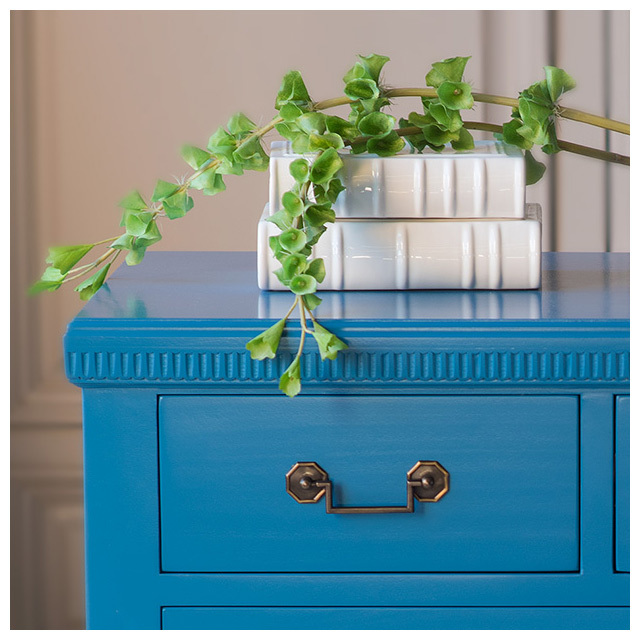 Furniture custom built to last, crafted with charm, style and character, available in your choice of finish. 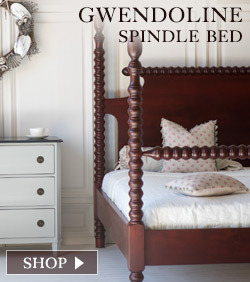 Explore our full collection of spindle and spool beds, dressers, side tables, desks, and chairs for the bedroom and home. 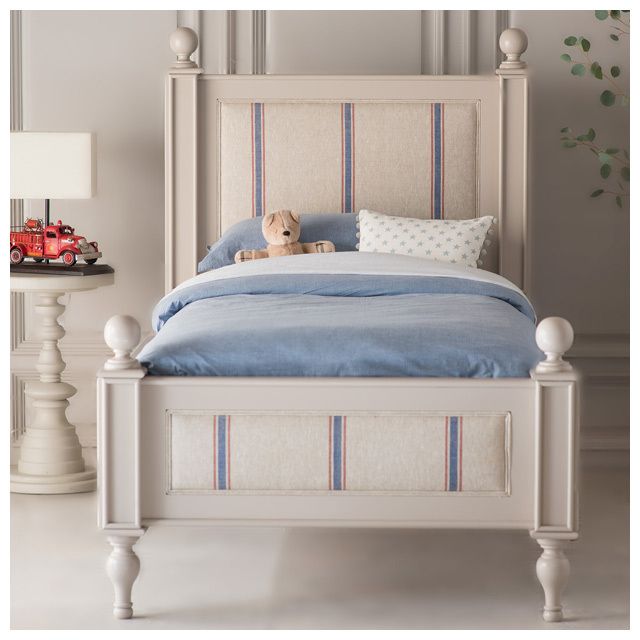 For children's rooms or guest rooms, smaller size beds make for a big impact. 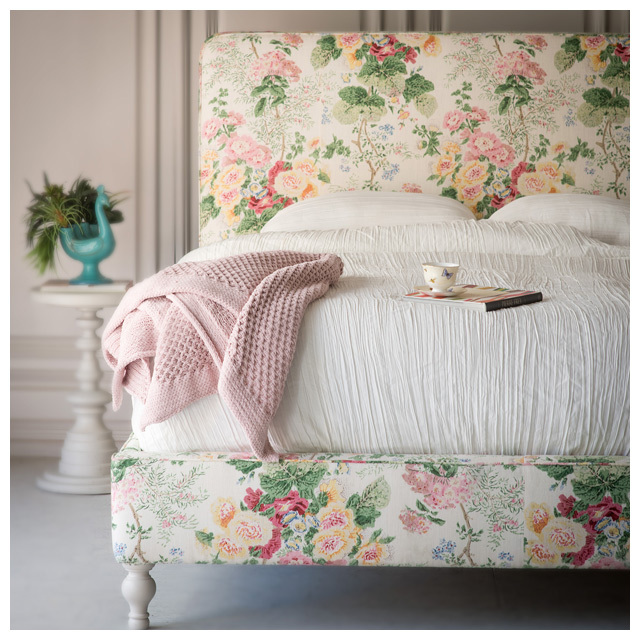 A classic design inspired by a Swedish antique. 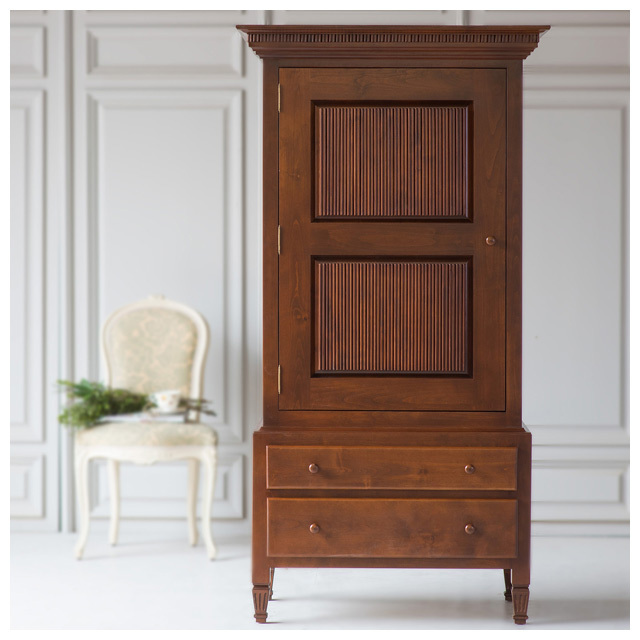 Solid wood construction and generous storage are enhanced by carved details and optional contrast top. We strive to give you the best value possible; to create stunning pieces that don’t cost the earth and will last a lifetime. 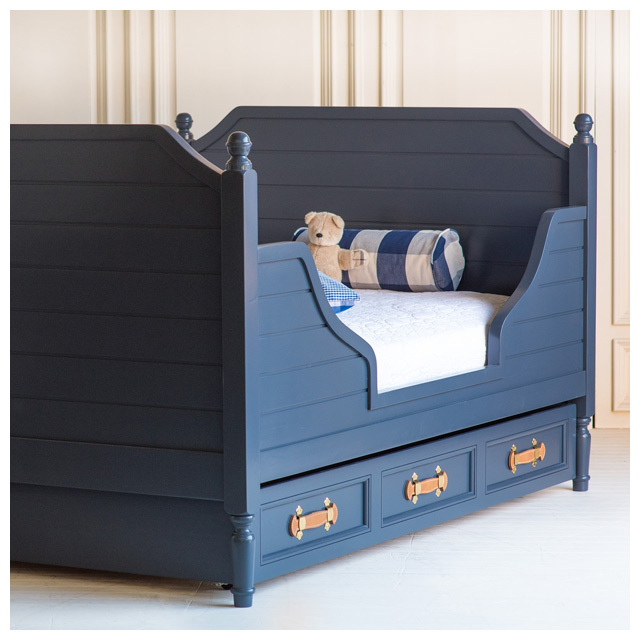 Our furniture is artisan crafted and finished in our wood shop in California, we use only sustainably sourced woods. Whatever piece you may be coveting, we can help you spread the cost with flexible payment plans. 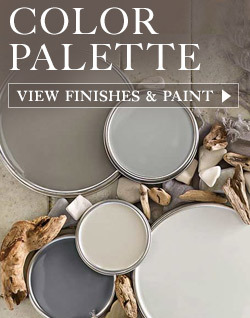 We offer a palette of 27 beautiful colors and finishes as well as the ability to specify your own custom color.